When Andy Cross decided to come back to the surf life saving movement eight years ago and join his brothers Michael and Dean at South Narrabeen, little did he know what he’d got himself into. Andy had done his Bronze Medallion at North Narrabeen some 23 years earlier but stepped away after having kids and using most of his spare time doing house renovations. But the family tribe was reunited at South Narrabeen. Michael had six kids, Dean had four kids and there was Andy with his three children, Nathaniel, Alana and Brad. Just doing patrols wasn’t enough for Andy though. He liked the education and training side so much that it was just a matter of time before he became Club Chief Training Officer. Suddenly he switched into full throttle and the recognition came – NSW Life Saver of the Year and then NSW Volunteer of the Year. Last season, he surfed the 129 beaches in NSW where he promoted the Gold Medallion award. When Rohan Fisher decided he’d served his time as President after five years in the job, the Club didn’t have to look far for his successor. “It’s (Presidency) a challenge because you are responsible for the direction of the Club. And you sort of oversee all the areas of the Club,’’ Andy said. “The main concern I have is maintaining the culture we have at South Narrabeen that has been built from Presidents like Steve Maxwell, Peter Madden and Rohan and those before. They have developed and supported the culture we have here today. “When I visited the 129 Clubs in NSW last season, I had a feeling of each Club’s culture. Each individual Club has a culture and that has got to be the main thing that is protected, developed and enhanced. And that’s what I hope to do with the Presidency. While boats are a big part of South Narrabeen, Andy hopes in the future to expose the Club to a broader aspect of competition. “The boaties are certainly a wonderful group of people to have and they provide a wonderful feel to any function we have at the Club,’’ Andy said. Andy has relinquished the role of CTO. “But before I agreed to take on the Presidency, I wanted to make sure the training aspect had a good follow up,’’ he said. With Jacinta Paquay moving to Canberra in her job as a teacher, Andy reached out to Matt Fordham. “I took over from Matty as CTO but he’s more than happy to get involved in education. And Jacinta will continue coming up at weekends and helping out,’’ Andy said. One of the things Andy is really looking forward to this season is being on patrol with son Brad and a group of his mates who have done their SRC. “A couple of these boys will also be crewing in IRB’s as they trained during the winter,’’ Andy said. “Growing up as a surfer, I didn’t realise how much information and experience you gather about the ocean when you join the (life saving) movement. “Now I feel I can pick up things about the ocean before they happen. You can see in a rip there’s going to be some rescues. Richard Cole admits he has big shoes to fill as the new President of Avalon Beach Surf Club. Richard has replaced the long serving Christine Hopton, who was at the helm for 8 years. An architect, Richard worked closely with Christine and her husband Robert in the rebuilding of the Clubhouse, which now has a restaurant. It was Christine who asked Richard if he would stand for Club President and subsequently nominated him. Richard said he can’t speak highly enough about the Club. “It has an amazing group of members,’’ he said. “Our board is full of really enthusiastic people and I feel the whole Club is on an upward trajectory at the moment. Like a lot of parents, Richard got involved in the surf life saving movement because of the Nippers. "I have four kids and my eldest Christopher joined Nippers in 2006 in Under 6’s. Now he’s an age manager,’’ said Richard. Richard said he had always loved the surf and was a keen body surfer and swimmer and spent a lot of time at Avalon when he visited his grandparents. Christine Hopton has left Avalon Beach in great shape, according to Richard. “Our numbers are increasing rapidly and we have a great Nipper Program,’’ he said. “Also, over the past few years, we have put together a really good youth program. “We have some great members who are engaging the cadets to keep young members engaged in the Club and make that transition from Nippers to patrols. 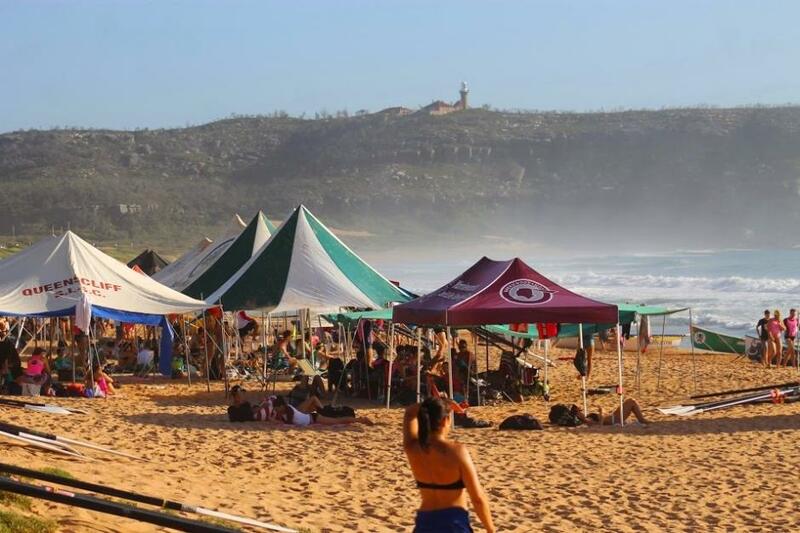 Avalon Beach is rated among the most hazardous beaches in Sydney. ‘’We do need vigilant patrols and we certainly need to maintain a high standard,’’ Richard said. “All our funds have been going into the building over the past few years and there is a need to replace a lot of our equipment. 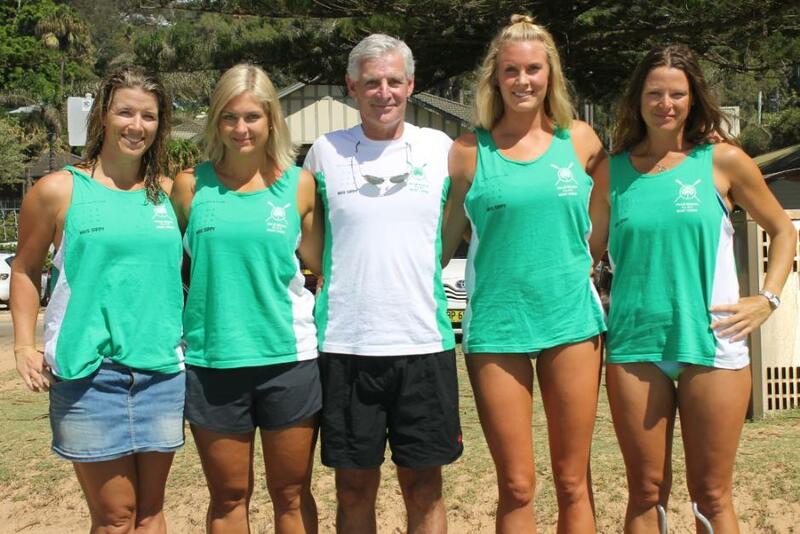 With Tracey Hare-Boyd stepping aside, Frank has taken on the job at North Steyne SLSC. Frank has been Chief Training Officer there for three years but, because of the Club constitution, he can’t wear two hats and, therefore, has had to relinquish that role. While Frank was first involved in surf lifesaving in his early 20’s and obtained his Bronze Medallion and rowed boats for a season with the Dixon Park Club in Newcastle, he came back to the movement 13 years ago and did his Bronze again with his son Adam at North Steyne. Frank said Adam became a CTO at 18. “He’s now 28 and is a Director of Northern Territory SLS and at Mindil Beach SLSC. “He is still active at North Steyne and patrols, trains and assesses when he is at home,’’ Frank said. Frank’s daughter Natasha still patrols and wife Deborah remains heavily involved in lifesaving competition events and she has won a number of medals at local, Branch State and National titles. “Nothing outstanding about my results in water and beach events as a Masters competitor other than I was fit enough to compete,’’ says Frank. Frank, however, does like a long bike ride. ‘’I have done a number of charity rides in different states of Australia, including three Pollie Pedals,’’ he said. Two years ago Frank joined three friends to cycle from Barcelona to Santiago de Compostela in Spain over the Pyrenees, a total distance of 1800km. And he recently returned home after a trip to Europe where he cycled 1300kms across Netherlands and Belgium and down the Rhine River from Basel in Switzerland to The Hague in Holland. A lawyer, Frank also has a PhD in medical physiology and pharmacology. What Frank likes about surf lifesaving is that people from both sexes and all ages can become involved in a wide range of capacities like patrolling, competing, education and youth development. ‘’Surf Lifesaving is there to protect the public from harm and develop skills for its members,’’ he says. ‘’It is an iconic Australian community organisation. Involvement in rescues and resuscitation restores the gift of life. “I love Manly Beach. It is one of the best places in the world. North Steyne Surf Club occupies a central position on Manly Beach. North Steyne SLSC is an iconic Surf Life Saving Club dating back 108 years. ‘’The main priority is to ensure the safety of beachgoers to North Steyne and Manly Beach. On a wider view, I would like to continue the development of North Steyne as a respected and trusted community based serviced organisation. “I would like to continue skills development in Nippers and young members of the Club. I would also like to encourage involvement in competition from people of all ages. Peter Kinsey is a one Clubman and is Long Reef through and through. Come January, 2016 Peter will have chalked up 54 years with the Club. Naturally, he is a Life Member. When he was coaxed to Long Reef by a school friend, he was fascinated with surf boats and started rowing almost immediately. The interest in rowing hasn’t waned and he’s still competing in Masters events with the 260 years crew. But this season he’ll have more on his plate than just rowing … Peter is the new President of Long Reef SLSC, taking over from the long serving Doug Lucas. “It has been a real changing of the guard at the Club,’’ Peter says. “We have a committee of five women and five men, which is great,’’ he said. During his time at the Club, Peter has been a Race Secretary and Chief Instructor and also ‘’filled in’’ as President for one year in the 1981-82 season. But the retired solicitor says he has more time on his hands now and that’s the reason why he decided to take on the (President’s) role. Longy have been Branch Club few times and have the current Branch Life of the Year a Saver of the Year in Adam Kent. Peter says he would like to see more members become involved in education and also in competition. “While we have quite a few boaties on the board of management, I don’t want it to be seen as a ‘boaties committee’,” he said. “I want to get the whole Club more involved in competition other than boats. In saying that, we could have as many as six or seven boat crews. “But I want to make sure everybody feels it’s their Club and if they have something to say, be it good or bad, we’ll listen to it. When Peter started out rowing he was in the second bow seat. These days, he’s stroke of the crew that won at the World titles in France and Aussies last season. Ross Jenkins has retired from the crew that has been together for some 20-odd years in Masters. Bruce Gale will take over as sweep, the new man in the bow seat is Dave McGuire, while the other rowers are Malcolm McCormick and Dave Sams. “At the moment we’re just training one day a week in the surf but we’ll step it up to three days a week in December. We all do ergs, as well,’’ Peter said. The thought of three successive Aussie Masters titles appeals to the Longy ‘vets’ crew. When Alex Tyrrell was tapped on the shoulder to take over as Club Captain at Palm Beach, she didn’t have to think twice. ‘’To be asked to lead the Club that you love is not a hard thing to do. It’s just a great honour really,’’ she says. Alex (pictured) has been part of the furniture at Palmy for 15 years and has been involved in a couple of roles previously. “I did the ‘Fresher’ liaison which is like looking after all our new members for two years and I was also entertainment chairperson. I was responsible for all fund raising events and activities,’’ she said. But her real passion is rowing surf boats and she certainly doesn’t plan to give that up. Alex, who is a Careers Engagement Specialist, is one of five females on a 12-person management committee. Kate MacDonald is at the helm of the Club, Alison Cooke is secretary, Steph Brown is competition director and then there’s Alex and her deputy Ali. Copyright Surf Life Saving Sydney Northern Beaches, 2015.